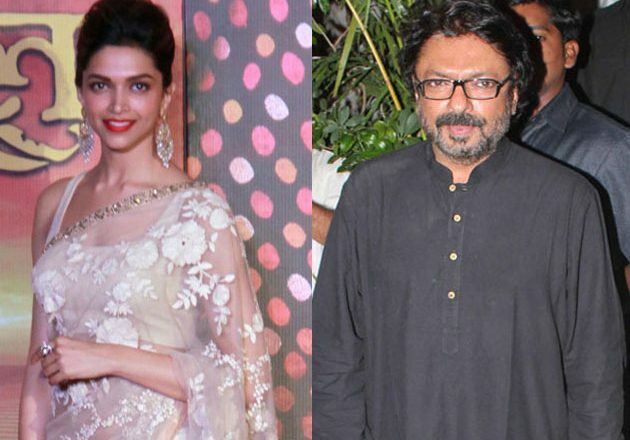 It is still not clear who’ll play the two leading heroes but that hasn’t deterred director Sanjay Leela Bhansali from beginning work on his next directorial venture Padmavati in full force. The filmmaker is quietly putting together the set of his next film at Mumbai’s popular Mehboob Studio. According to a report, SLB is constructing Rani Padmavati’s Water Palace at the Chittorgarh Fort at Mehboob Studio. The report also claims that Bhansali will start shooting at this beautiful palace sometime in September with a song. 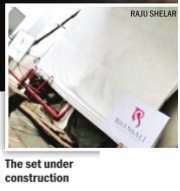 Mumbai Mirror reporter Raju Shelar spotted the set being constructed but was not allowed to venture inside. However, he managed to click a picture outside the floor that had the production house’s name installed near the gate. It is confirmed by now that Deepika Padukone is playing Padmavati, the titular role. The film will have two leading men – one who’ll play Alauddin Khilji, who turns into an obsessive lover of the Rani, and the other would be Raja Ratan Singh, Padmvati’s husband. Did Will Smith have finger-licking Punjabi food at Akshay Kumar’s residence?